It’s an invisible monument, in plain sight. The Soldiers Memorial sits in a prominent position on Park Plaza, the small, central park of Pittsfield, at the crossroads of main thoroughfares in western Massachusetts. Thousands of people pass by it daily, but I wonder how many are like my wife who grew up in Pittsfield but did not know there was a monument in Park Plaza. The last time the memorial appeared in the press was on the 110th anniversary of its dedication, in 1982. On the one hand, it’s hard to miss the 6-foot bronzed color guard soldier holding the flag, atop a 12-foot granite pedestal, dedicated just seven years after the end of the Civil War. Divided into their regiments, the names of 102 Pittsfield soldiers who died during the war are inscribed on plaques on the granite sides. Yet, so many of these statues of soldiers, or generals riding horses, populate our public places that they have lost meaning of memorializing the fallen, blending into the landscape almost like a telephone pole. Reading from a 21st century perspective, several other story-lines with gender and racial overtones emerge. The original idea for a monument was floated shortly after the end of the war, studied by several committees, including one of women who went on to raise money when the town delayed pursuing a memorial so that it could pay off its war debts first. With $3000 in the bank, these women stepped aside (or were shunted?) when an all-male town council took over the plan, appropriated public funds, but still drew on the collected monies. In addition, four soldiers from the all-black Massachusetts 54th (highlighted in the film Glory) died during the war, but an additional ten from Pittsfield served, including the chaplain Samuel Harrison, whose names are all included in the booklet. An article from the local paper on September 25, 1872 which lists all the regiments of the 2000 soldiers who marched in the parade did not mention the 54th, leading to speculation on their absence – from the story or the parade? An orator spoke at the dedication, a professional orator, winner of prizes and contests: a certain George William Curtis, from New York, who speculated on how posterity would interpret the war. Not once mentioning slavery, his reference was implicit but unmistakable: “equal rights of every citizen are the sacred care of the whole people.” Curtis thought to anticipate the day when a youth from Carolina or Georgia would stop at the statue and invoke that these “men died for me as well as for you. They saved Carolina as well as Massachusetts.” We’re not there yet. How does this statue speak to us today? Hardly at all, unfortunately. This memorial invisible in plain sight, should tell us a lot, about a war which still divides us as it preserved and united, about the sacrifice it took to get to where we are, on race and gender, on patriotism, on loss. 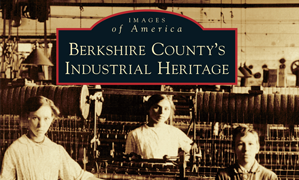 This entry was posted on December 18, 2012, 10:06 pm and is filed under Berkshires, Civil War, History in our surroundings, Public History. You can follow any responses to this entry through RSS 2.0. You can leave a response, or trackback from your own site.